Tedson H. Koja was born in Wahiawa, Hawaii, and admitted to the Hawaii State Bar in 1988. His primary practice is in the area of general civil litigation, including: general commercial disputes; construction litigation; collections; tort litigation; insurance matters; commercial and residential landlord disputes; and probate and trust litigation. Mr. Koja gained valuable trial experience as a deputy prosecuting attorney at the Department of the Prosecuting Attorney, City and County of Honolulu, where he worked from 1989 to 1995. During that time, he was the lead trial attorney in numerous jury trials ranging from general felonies to more specialized felony crimes while assigned to various specialized vertical prosecution units responsible for prosecuting narcotics, domestic violence and sexual assault offenses. 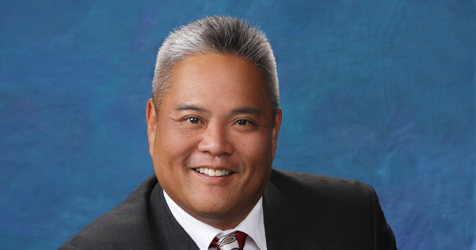 Mr. Koja’s experience in civil litigation started as a deputy corporation counsel for the Honolulu Corporation Counsel where he worked from 1995 to 2001 and defended the City and County of Honolulu in personal injury and tort litigation, civil rights lawsuits, construction defect litigation and land use disputes. Mr. Koja entered private practice in 2001 and has expanded his civil practice into areas such as insurance defense, general commercial litigation and other areas. He has been with the firm since September 2006.